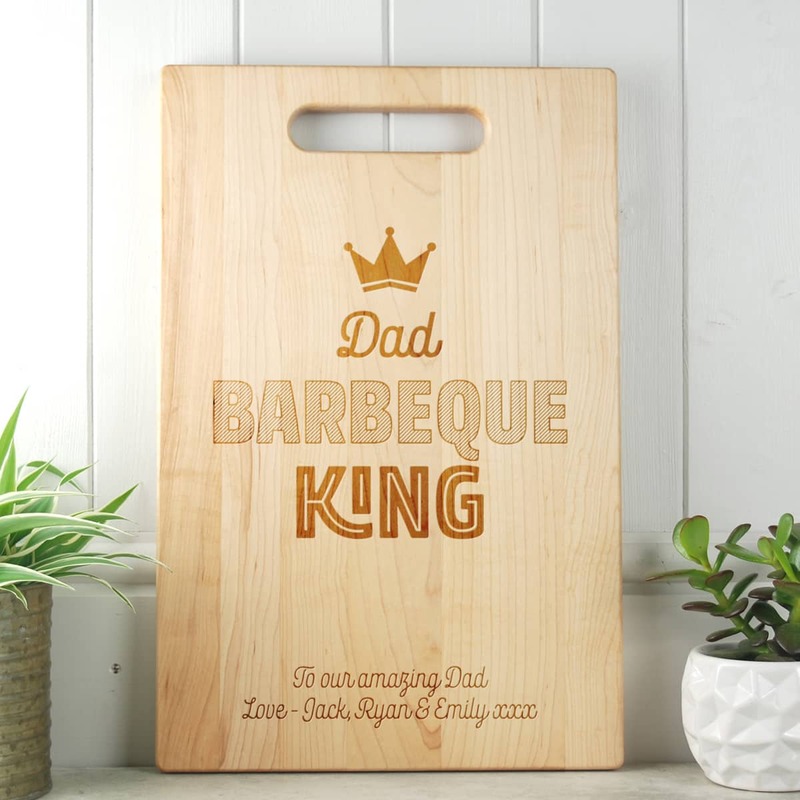 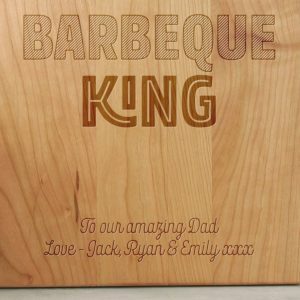 Be a Barbeque King with this personalised cutting board – a must for every outdoor chef! Handmade chopping board available in sustainably sourced Maple, Cherry Wood or sumptious Walnut. 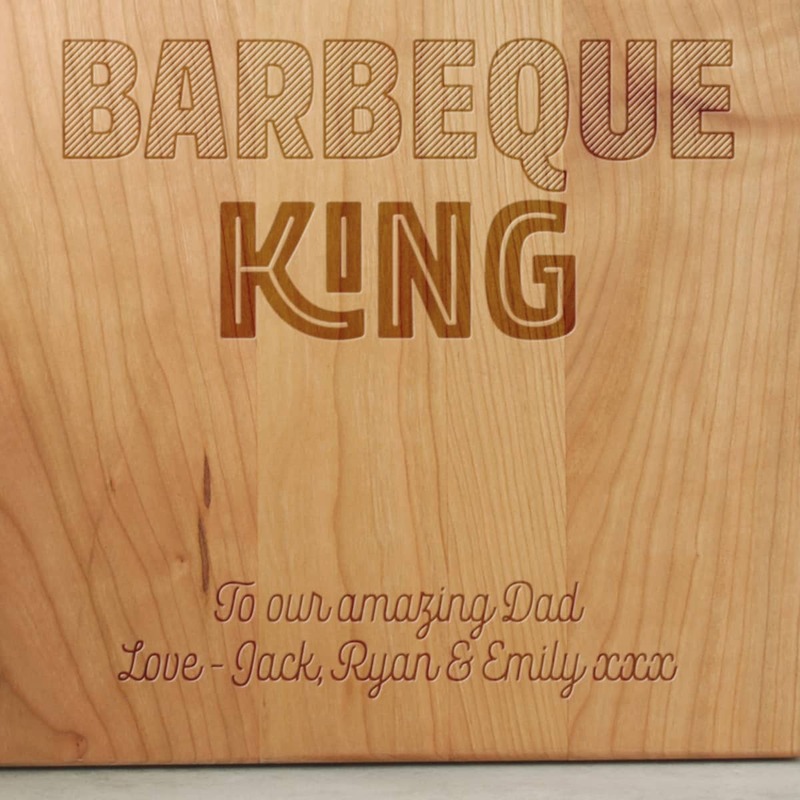 It’s ideal as a gift for Dad, Grandad, brother, husband, or anyone who can be a King! 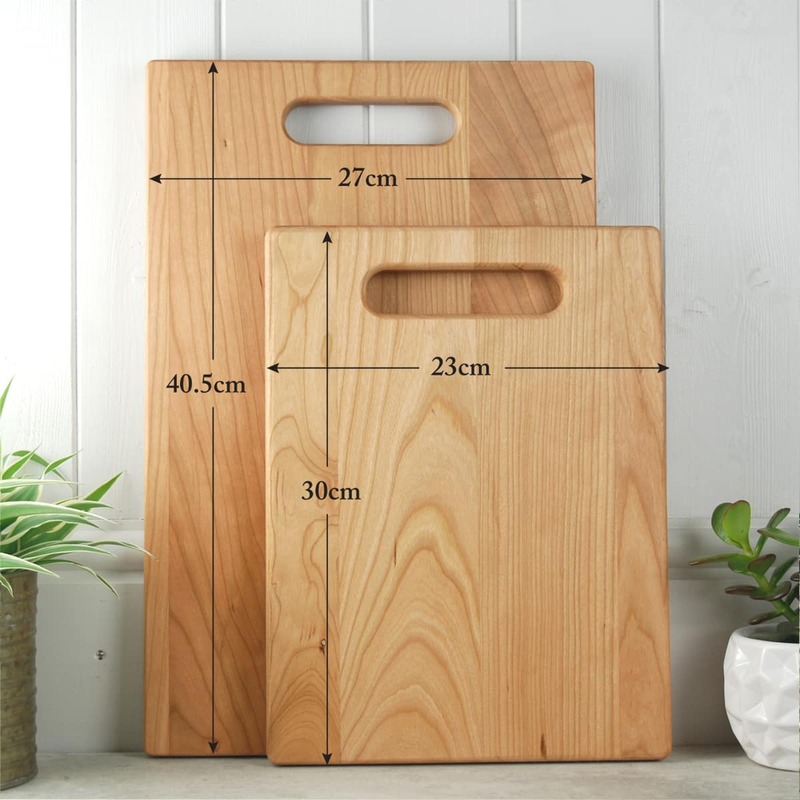 Can also be used as a serving board for breads, cold meats antipasti. 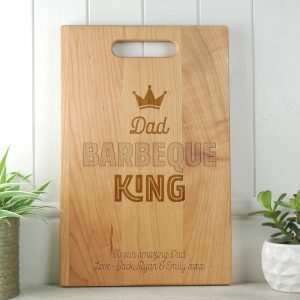 Each board is unique as the grain differs in every piece. Carefully handcrafted with a smooth finish and large handle that makes it ideal for moving barbeque treats inside and out. This stunning board can be used as a cutting or serving board will be the centre of any dining room or kitchen. Keep this board healthy by only washing in hot soapy water (not suitable for the dishwasher) and treat it with some cooking oil/olive oil every now and then and it will last forever.